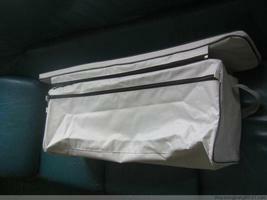 New design removable underseat Storage Bag with Over the seat Cushion. 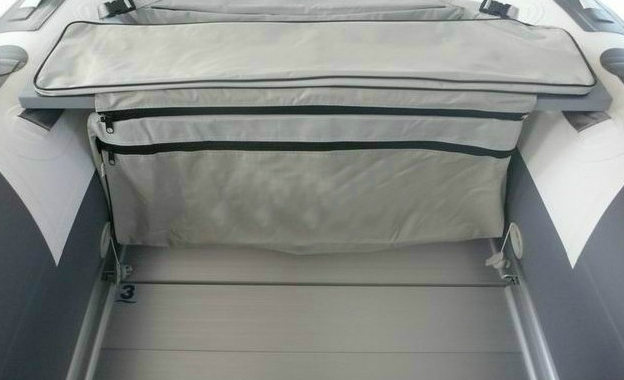 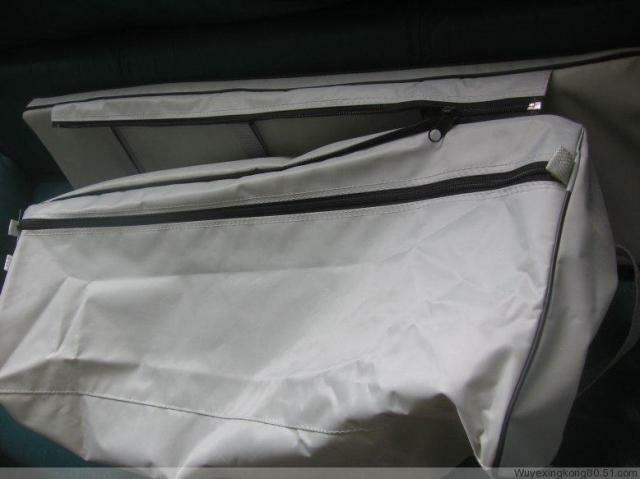 Easy to install, under-seat storage bags with over the seat cushions not only provide a convenient storage place, but also protect your most valuable assets from being bumped on choppy water by a hard-surface boat bench. 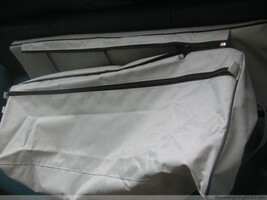 The seat pad is 34" long,8" width and the bag is 24'' long, 10’’ tall and will fit 7.5 ft to 11 ft inflatable boats .